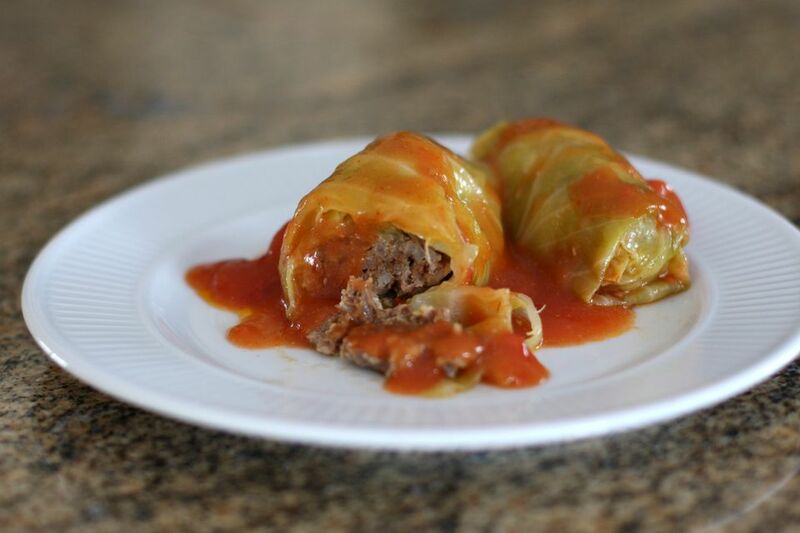 Cabbage rolls are one of those comfort food meals that is reserved for special occasions, but with a shortcut, it can be much less time-consuming. Instead of boiling the cabbage to wilt the leaves, microwave the whole head of cabbage for about 12 to 15 minutes. The leaves will be soft and pliable, and easy to peel off the heat and roll. The secret to this version's flavor is a hint of cinnamon. If you aren't sure if you'll like the cinnamon in your cabbage rolls, you may omit it or use just a dash. Serve the cabbage rolls with mashed or boiled potatoes. Carefully tear the leaves off the cabbage and cook in boiling water or steam in the microwave until wilted enough to be flexible. Cool. Mix ground beef, rice, egg, onion, and salt, pepper, and half of the cinnamon together. Shape a few tablespoons of the mixture into a cylinder, then roll up in a cabbage leaf. Secure rolls with toothpicks. Combine the soup and tomatoes in a Dutch oven or large saucepan. Place cabbage rolls in the pot. Sprinkle with about 1/2 teaspoon of cinnamon. Cover and simmer for 1 1/2 to 2 hours. Put a head of cabbage in the freezer overnight. Just peel the leaves off the next day. They will be flexible enough to fill and roll — no pre-boiling required!